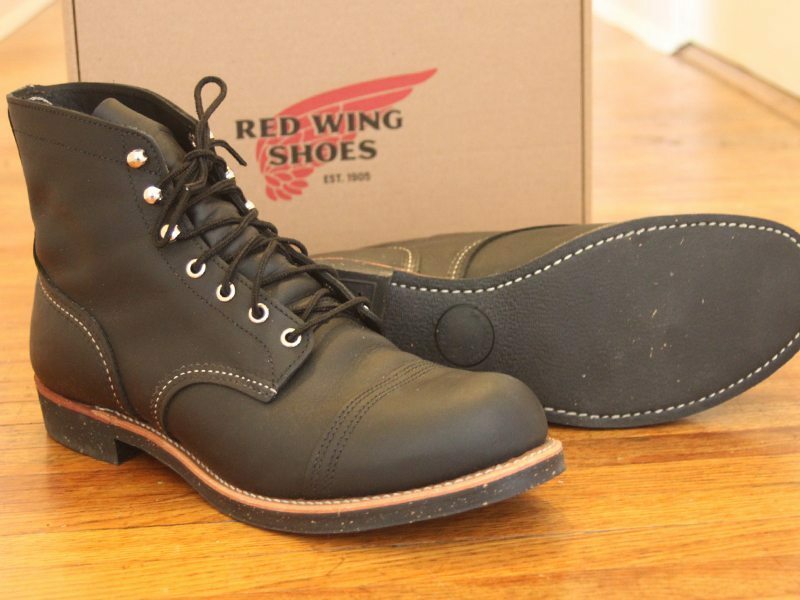 The first pair of Red Wing boots I ever encountered were given to me in the summer of 1984. I was actually reluctant to accept them. You see, I considered myself a “certified ranch hand”, even though I was truly only a greenhorn at the time. After quickly wearing out several pairs of decent, traditional cowboy boots on the ranch, my boss gave me a pair of Red Wing work boots (I don’t recall the type). Being a Texas boy, I kind of scoffed at the idea of wearing them for cattle ranching. But, I slipped them on, worked in them for a day…and continued to work in them for the rest of the year. Unfortunately, I grew out of them – I certainly didn’t wear them out. They were seriously comfortable and rugged…enduring all of the harsh punishment I dished out at the time. That was my introduction to Red Wing. From their website: “Around the turn of the 20th century a Red Wing, MN shoe merchant named Charles Beckman saw a local necessity for shoes specifically designed for the demanding work of industries such as mining, logging and farming. The rigors of these jobs required footwear, which was tough enough to outlast harsh working conditions, but Beckman envisioned a shoe that was also comfortable enough for the hardworking people who wore them. Beckman set out to develop work boots to fill this need and in 1905 he and fourteen investors opened a company that would change the market. Beckman named his company Red Wing Shoes, and thus a new standard for excellence was born. The Iron Ranger Boots are made using premium black harness leather from their own S.B. Foot Tannery. This is oil-tanned leather, which is used in many of Red Wing’s boots and shoes. Oil-tanned leather is extremely durable, which is a feature easily seen and proven with Red Wing’s 100+ year history. The boots are made using Goodyear Welt construction, the hardware for the eyelets and speed hooks is nickel, and the laces are long lasting taslan. The nitrile cork soles initially appear like they would be slippery – however, they are not at all. Cork soles are extremely durable and provide excellent traction on almost all surfaces. This particular style also features an eye-catching double layer toe cap and double stitching. Interestingly, the boots feature two different colors of stitching – the toe cap and seams around the laces and top of the boot all feature black thread while the rest of the boot has white stitching. While anticipating the arrival of my Iron Rangers, I read comments from many different long time Red Wing wearers and was initially nervous about the break-in period. Perhaps I’m just not that ‘in-tune’ with my feet, but the break in period on my Iron Rangers was virtually nil. They were comfortable initially…but, they’re really comfortable now. I’ve worn these boots consistently and in a variety of situations. All day comfort is definitely an one of the Iron Ranger’s attributes. In spite of their 8” height, I do not have issues slipping these on without a finger loop or pull loop on the back. Perhaps it’s because of the angled top of the boot? I’m not sure. However, unlike some other boots of this size that also lack a pull tab on the back of them, these slip on easily and effortlessly. This style’s original purpose was to serve Iron miners in northern Minnesota. All I have to say about that is, dang…those were some stylin’ miners! This boot has some serious aesthetic appeal. They’re rugged – but with that toe cap, you can dress ‘em up too. Personally, I think it’s a great style and for those of you who are budget minded when it comes to footwear, consider this boot as two pairs: your dress boot and your casual boot. I enjoy the black version of the Iron Rangers that I have now. These boots also come in Amber, Copper, and Hawthorne leathers too – all of which look fantastic. I would not hesitate to hit the “Add to Cart” button on any of those versions. To keep my boots in tiptop shape, I also received Red Wing’s Basic Care Product Kit, which contains their All Natural Leather Conditioner, Mink Oil, Boot Cream, Brush, and Cloth. This is a must have kit if you plan to keep the leather on your Red Wing’s conditioned and protected. At $39.95, it’s a great kit and will service your boots well. You can’t go wrong in purchasing a pair of Red Wing Iron Rangers. The construction, fit, finish, and heritage behind the brand is all fantastic. In the realm of quality footwear, their price of $319.99 is a great value. You will receive a pair of boots that will be enjoyed for years, will continue to perform well, and will become a daily companion on all of life’s adventures. The Iron Rangers are definitely a great buy. So, which pair will you be ordering? 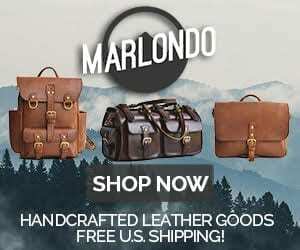 2 Comments on "Red Wing Iron Ranger Boots Review – $319.99"